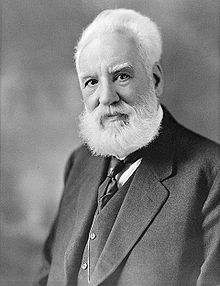 Alexander Graham Bell receives a patent (US No. 174,465) for an “Improvement in Telegraphy,” which will later come to be known as the variable resistance telephone. The first satellite telephone and television relays are established through the communications satellite Echo 1. 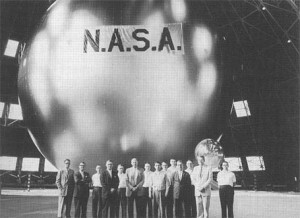 The satellite was basically a big metallic balloon that simply bounced microwaves off its surface. Simple, but effective. 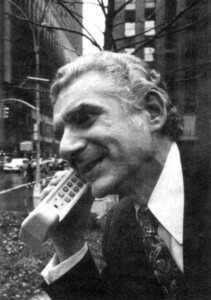 The discovery of the first mobile phone virus, Cabir, is accounced. Specifically, Cabir is a worm which infects phones running the Symbian OS. 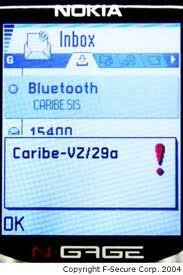 Whenever an infected phone is activated, the message “Caribe” is displayed. 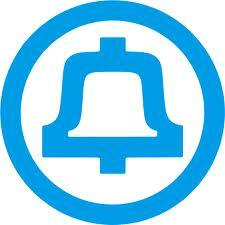 Infected phones also attempts to spread the virus through Bluetooth signals. 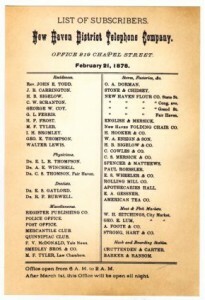 The first telephone book is issued in New Haven, Connecticut by the New Haven Telephone Company. It lists twenty-one names. You probably have at least twice as many names in your cell phone today! 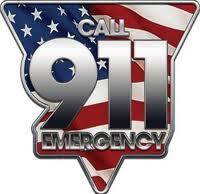 In Haleyville, Alabama, the first 9-1-1 emergency telephone system goes into service. 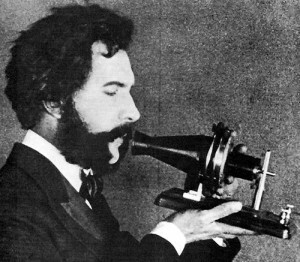 The telephone was patented on this date separately by two men – Alexander Graham Bell and Elisha Gray. 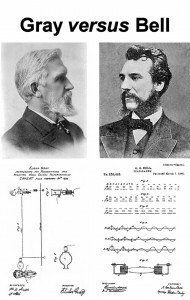 This set the stage for controversy over who actually invented the telephone and a drawn out legal battle. 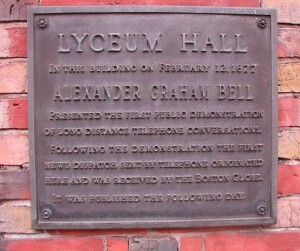 Alexander Graham Bell makes the first long distance telephone call between Boston and Salem, Massachusetts. No witches were hung at this time.